Stove & Cooktop Repair in Seattle, WA. 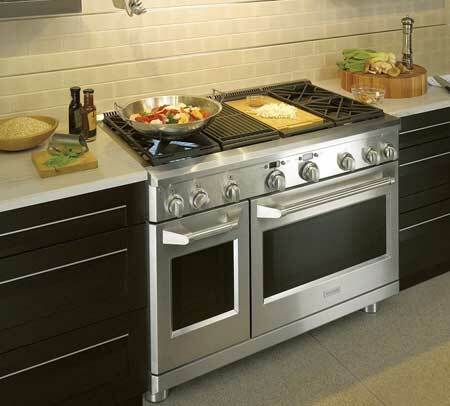 Seattle Appliance Repair is the leading company for stove repair in Seattle and surrounding cities. Call us today, and a professional technician will be on the way to deliver prompt, reliable and affordable Seattle stove repair! You’ll be cooking in no time! Our professional technicians have the highest training in the industry, and they are very experienced. You’ll receive prompt attention, and the stove repair issue will be quickly determined. The technician will provide you with a written estimate – there are NO hidden fees. No work is done until your questions have been answered and you authorize the repairs. We give you a written warranty for all the parts we install and the work we do. These are just a few of the reasons we have high ratings from our customers and our business is growing through word of mouth. We do more than Seattle oven repair. Seattle Appliance Repair offers repair to all brands and all major appliances in a service area from Tacoma to Everett and beyond. The brands we repair include GE, Maytag, Whirlpool, Kenmore, Jenn-Air, KitchenAid, LG, Samsung, Viking, Asko, Wolf and more. The appliances we repair include refrigerators, dishwashers, stove, ranges, cooktops, ovens, compactors, garbage disposers, clothes washers, clothes dryers, furnaces, heat pumps and more. Call for Seattle Stove Repair, and Get it Fixed Today! Same day service for Seattle stove repair is our goal. Our trucks are fully stocked, and we have access to the largest parts inventory in the Northwest. One call is all it takes, and we’ll be on the way with fast, affordable oven repair you can trust!